A family of four is reeling after someone shot at their car Friday on Highway 24 in Oakland. 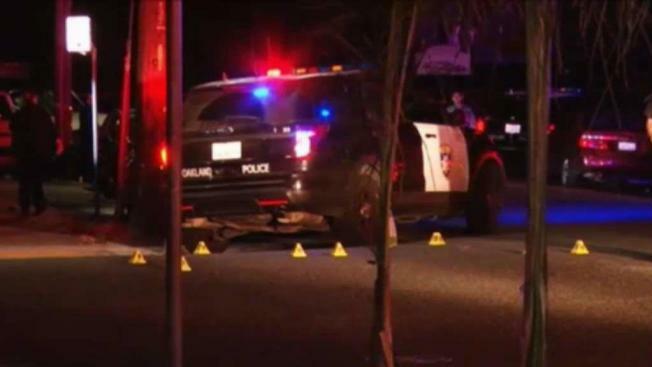 According to the California Highway Patrol, the group was heading westbound near Interstate 580 when a grey sedan pulled up next to their car and fired shots in their direction. It is unknown exactly how many shots were fired, but two bullets did manage to hit the vehicle, CHP officers said. No one was hit. The suspect, who was driving a grey sedan, drove away after the shooting, the CHP said. The family took the next exit and called 911 from a Valero gas station at Telegraph and West Grand avenues in Oakland to report the incident. CHP officers did a quick traffic break to search for evidence, but officials say the highway is open and clear. It is unknown why shots were fired at the family. Officers are actively investigating the incident and searching for the suspect.